The Boys in Blue are back!! 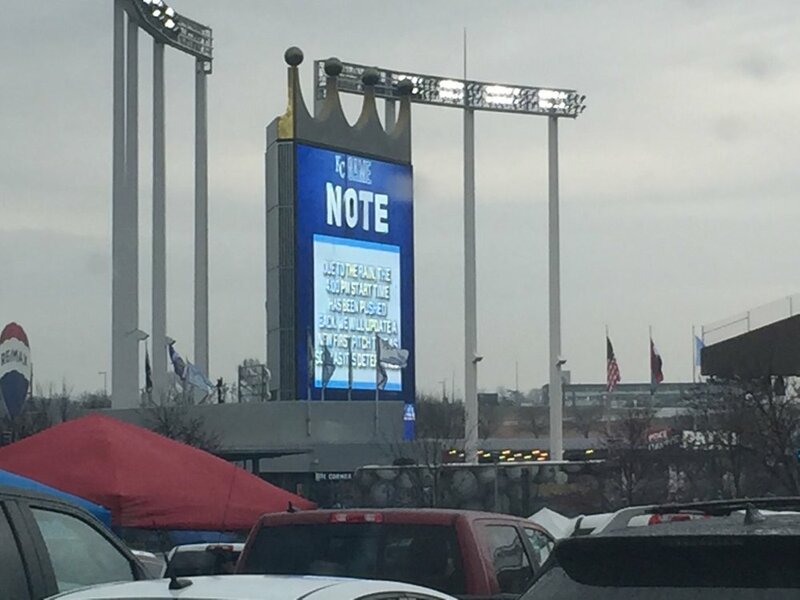 Thursday was Opening Day at the K and marks one of my favorite days of the year. The game was scheduled to start at 3:15 so Stephanie, Andrea, Billy and I took a half day off work and headed out to the K early for some tailgating (supposedly Leslie had to “work” and couldn’t get off to join in on the fun). Unfortunately, the weather had other ideas. 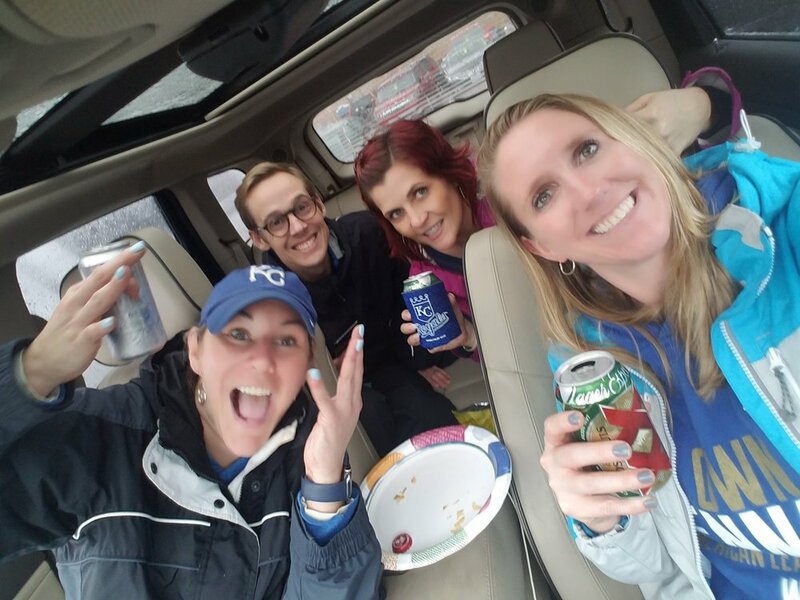 Rain was falling from the sky at a rapid pace, which only meant one thing for our tailgate - cargaiting! One other problem we had was that we failed to pack some food for this epic tailgate. We remembered the beers, just forgot the food...strange! Actually, we weren't planning on tailgating very long but two rain delays for a total of 2 hours had us wishing for hot dogs and peanuts. Thankfully, the guys next to us were kind enough to share a bag of chips with us! Once we knew the game was actually going to start, we headed into the stadium. 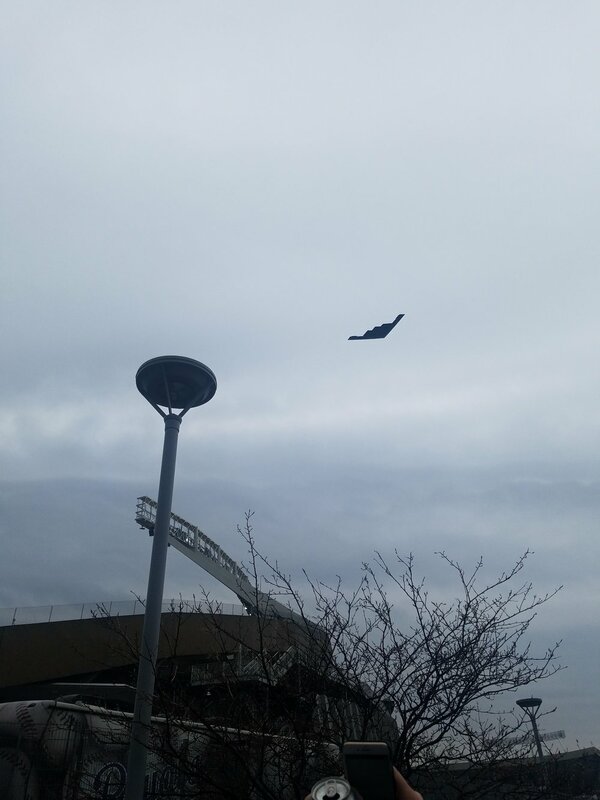 Of course we ended up missing the national anthem, but caught the flyover as we were waiting to get into the stadium. B-2 Stealth flyovers are my favorite!! We had really good seats on the first base side and were able to enjoy some exciting baseball. Aldalberto Mondesi hit two triples, Whit Merrifield stole 2 bases, and Brad Keller went for 7 scoreless innings in an Opening Day 5-3 win over the White Sox! I can’t wait to get out to more games this year. 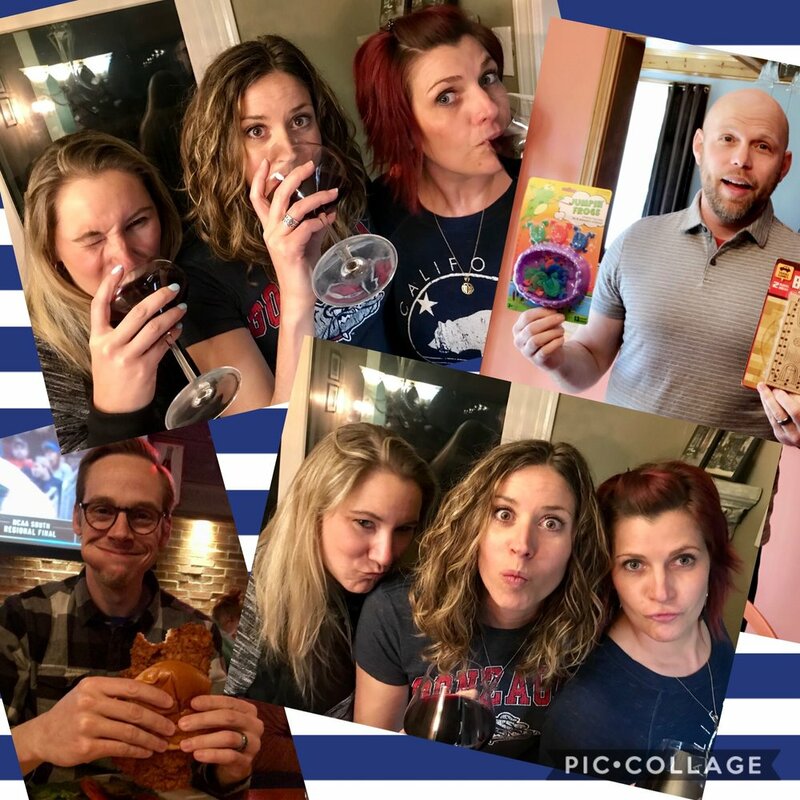 All in all, it was a great weekend…can’t wait to do it again this weekend! !